I spent the majority of my work day yesterday (don’t tell my boss!) responding to comments via email. There were so many sincere, thoughtful and amazing offers of help and support that I didn’t think a “Thanks!” comment left in response on the blog was enough. I’m still not done sending my replies, but am getting there. After work I went home to let the dogs out. I didn’t feel like riding, but pushed myself out to the barn anyway. 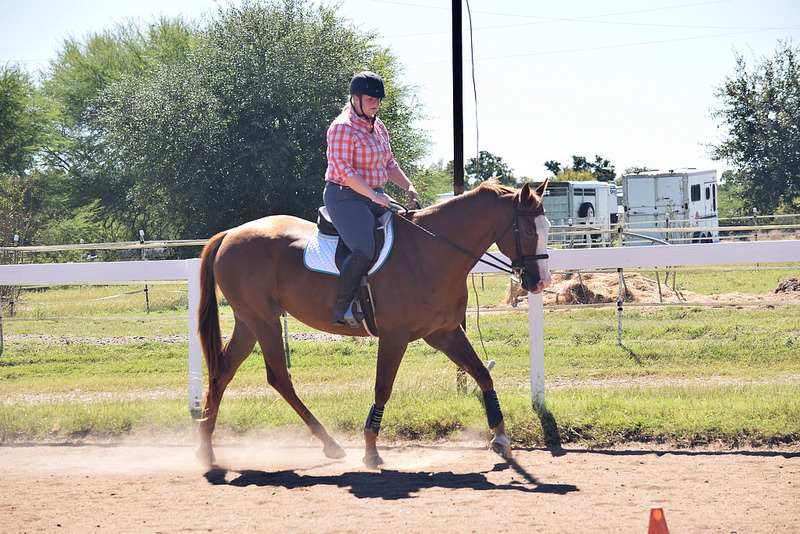 I put on my good riding clothes – not the ratty old breeches with a hole in them and a faded polo shirt, and I even tucked in my shirt with a belt. On the drive to the barn with Pascale loaded up in the back, I blasted Girl Talk’s “Feed the Animals” and sang all the obscene bits out loud to no one. It was an album that Tim introduced me too, but I pondered that in a factual versus emotional way. At the barn, I told myself that sitting on Roman was the victory and everything else was a bonus. We trotted around. We worked on going deep in our corners, bending in our circles, not being heavy and keeping pace consistent. I sat the trot and held my two point and tried to keep the thud thud thud of his hooves on the ring footing as steady as they could be. It wasn’t an intense ride, but it was a ride. After I rubbed my palm over his wide blaze, which has gotten a little furrier in the weeks I’ve missed being out there. I checked in on Simon, who whinnied to me before power walking to me from across the pasture. He snarfed up his treats and then licked my arm while I rubbed his own forehead and watched the white hairs scatter from the middle of his fuzzy star. Then I left to grab a quick dinner with barn friends, and ate a club sandwich is the most superior sandwich. I order club sandwiches all the time and I’m not even a member – I don’t know how I get away with it. That’s something Tim introduced me too as well, but again it’s a factual versus an emotional recollection. In the quiet hours of the evening back at my house, I worked on another re-write of a piece that I want to be stunning but itsn’t quite there yet. The dogs wrestled in the study while I tapped on my MacBook. It was Tim’s, but now it’s my writing computer. I left his robot stickers by the apple logo, and added a black dog sticker I picked up at Dog Mountain. Tonight I get to go see Amy Schumer live with my best friend. Tomorrow morning I go hiking with the dogs. Tomorrow afternoon I will ride the blaze face and the nerd horse. Tomorrow night I will write. The next morning I’ll wake up to start something all over again, and I will be okay. Thank you for the email and I hope you have a wonderful horse-filled weekend. We’re putting blankets out tonight so I hope you and your guys stay nice and snug over the next few days! I agree that the club sandwich is truly a superior sandwich to all others. I get made fun of often because it’s one of the only things I consistently order. 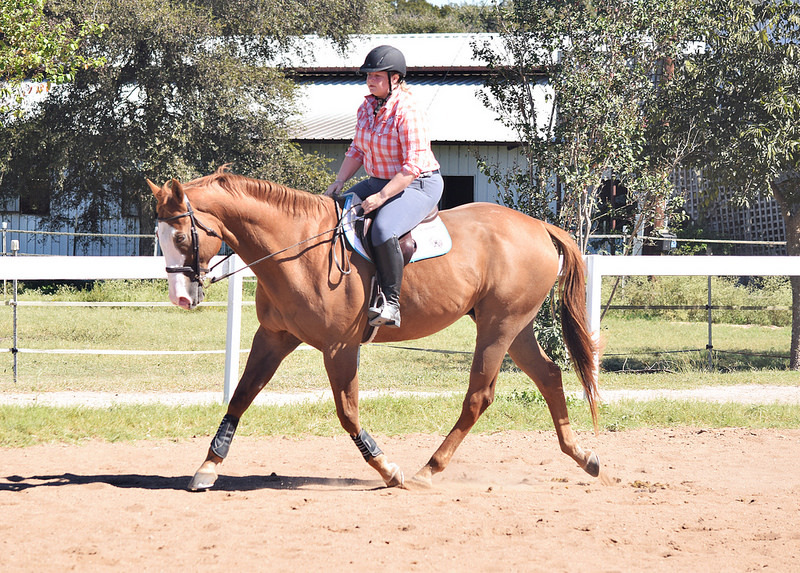 And if you want to come out to Rolex in the Spring, I’m now less than an hour and half away with an empty guest room and a short drive from Tracy up in Ohio 🙂 We could totally do a Rolex Equestrian blogger’s meet up 🙂 Because its fun to have things to look forward to. Frilly toothpicks? I’M FOR ‘EM! Club sammiches are the best because they have bacon, cheese, and avocado. And everything is better with bacon, cheese, and avocado. I’m glad you had a good ride last night and are looking forward to things this weekend. Hugs! Sounds like a good start to the weekend! I am also a club sandwich gal…we can have our own club! Yes. You will be okay. This post made me happy. Roman looks really GOOD. OH MY GOD GIRLTALK YASSSSSSS. I saw him once. It was amazing. And Amy Schumer?! More amaZing. You & Roman look great in those pictures! And you will be okay. I didn’t even get a chance to comment or email you on your last post, but if there is anything I can do to help, just let me know! I think it’s really cool that you took the time to respond to us. Unnecessary, but appreciated. Just know that all of us are rooting for you to be happy. Hang in there! Dear you, You are so amazing I don’t even know how to tell you (please excuse the not so brilliant writing…). I’m always (yes, every time I read a new post) impressed by what you accomplish (and then, you even find the time to write about it!). Mindfulness has recently been helping me cope with my (very uneventful and compared to others, so easy!) life. It includes meditation and just acknowledging all the emotions to start with. I was so overwhelmed by all the comments on your sos-post, which all gave you good advice and nice proposals, that I didn’t have the courage to comment on that one. But then, I didn’t feel I deserved this thank you post if I didn’t add my two cents of advice. I’ve also been testing the “start by changing the tiniest possible thing in your routine/life to make it all easier”. Not there yet, but it helps, it really does. There, I don’t have anything to add that hasn’t been said by the others. Enjoy the good moments. The here, the now. It is the only moment there is (see Thich Nhat Hanh)- – oh yes, I forgot: any writing by Thich Nhat Hanh always gives me positive feelings and the idea that maybe there is a tiny chance that I am capable of just being (good enough and well and maybe, even happy). Hope you had a nice weekend. With or without club sanwiches and wine. I’m late to the last post party, but left a word (or three or fifty) anyway because I really wanted you to be okay. And you know what, I am sooo indescribably glad for you (even if you don’t feel it yet) that you are one step further away from not okay. Your journey is your own, and you inspire me to keep plodding on with mine. Thank you. Sometimes setting the smallest, simplest, easiest goals are the best way to manage and feel good. I’m glad you went out to the barn and rode, and I’m happy you’ve got some fun stuff planned!